As a highly-requested post, I’m here to serve you the latest dish on Thanksgiving place settings. Take time this holiday season to really think about your set up. Find your inspiration and translate it into a look that ties in your own twist of creativity. Check out what inspiration I got brewing, I even found similar items in my picks to help you put the finishing touches on your dream setting. Love this gorgeous set up!! Pic via Pinterest @elledecor.com. Hints of pink- my fave! Pic via stylemepretty.com. 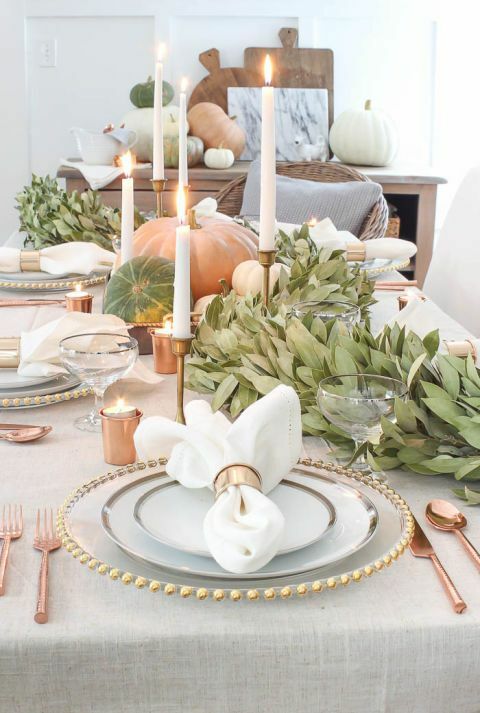 Another beautiful set-up by ElleDecor, soft and sweet!